The point guard, who is recovering from a knee injury, gets a workout with the Portland D-League team and plans to play for Boston Friday. Rajon Rondo finally joined the Maine Red Claws. But not for a game, just for one practice. And it wasn’t even in Maine. Rondo, the Boston Celtics’ point guard who is returning from a major knee injury, worked out with the Red Claws for approximately two hours Wednesday at the Celtics’ practice facility in Waltham, Mass. The Red Claws were in town, having flown in from their West Coast trip on Tuesday. The team will work out Thursday at their court at the Portland Expo – without Rondo – in preparation for its 7 p.m. Saturday home game against Erie. Rumors of Rondo joining the Red Claws began about two weeks ago when Boston Coach Brad Stevens suggested Rondo might play for the D-League team as a way of preparing for his return from a yearlong layoff. 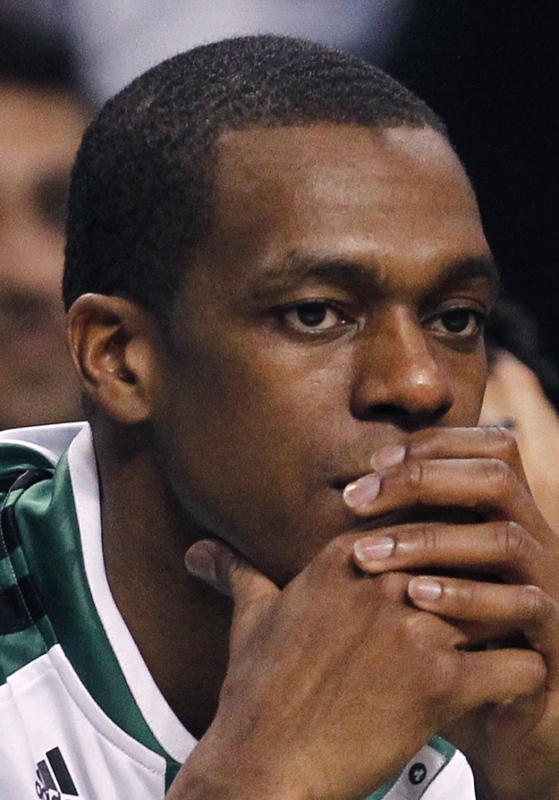 Rondo reportedly agreed with the idea. On Wednesday the Celtics announced Rondo was joining the Red Claws in an email that arrived at 12:26 p.m.
“This is a brief assignment,” Celtics president Danny Ainge said in a news release, “so that Rajon can participate in a workout this afternoon with the Red Claws. Callers to the Red Claws were referred to the Celtics for more information. 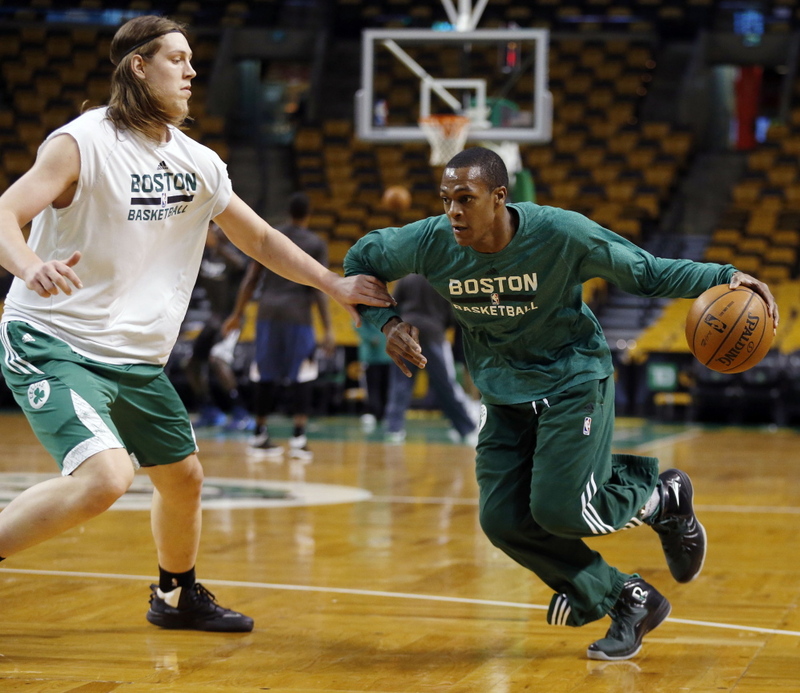 A Celtics official said Rondo’s workout was closed to the public and media. So why even bother announcing the workout? A Celtics official said it was mandatory, according to NBA and NBA D-League rules. At 2:19, another email arrived, announcing Rondo had returned to the Celtics’ roster. He is expected to play Friday against the Lakers. Rondo’s stay with the Red Claws lasted less than two hours. In his last availability Friday, Rondo said he hoped to make his season debut before the All-Star break; Boston’s last game before the break is Feb. 12. But on Tuesday he sent a tweet saying, “29,233,380 secs” – an apparent reference to the amount of time between his surgery and Friday night’s game against the Lakers. BOSTON TRADED traded guards MarShon Brooks, who played five games for the Red Claws, and Jordan Crawford to Golden State in a three-team deal. Golden State sent Toney Douglas to the Miami Heat, who traded seldom-used center Joel Anthony, two draft picks and cash considerations to the Celtics in a move that creates financial flexibility for Miami. Miami gave Boston its 2015 protected first-round pick – originally acquired from Philadelphia – and 2016 second-round pick. If the 76ers don’t make the playoffs the next two seasons, the 2015 first-round pick will be a second-round selection. Crawford is averaging 13.7 points and 5.6 assists this season, but he became expendable with Rondo returning. Crawford also is shooting 41.4 percent from the field and 31.8 percent from 3-point range. Brooks, who averaged 27.4 points with Maine, had two up-and-down years with the Nets before splitting time with Boston and the Red Claws this season.